THE RMT has announced further Saturday strikes on Northern, as the train staffing dispute continues. Walkouts had already been set for tomorrow and 20 October, but further strikes have been called for 27 October as well as 3 and 10 November. The union and Northern have both said that the other is refusing to take part in 'serious' talks aimed at resolving the dispute over who should be in charge of a train, and whether a second member of staff should be mandatory. 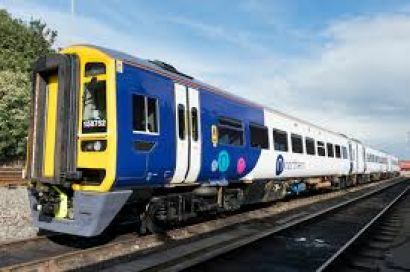 The union's general secretary Mick Cash said: 'RMT continues to make every effort to get serious and meaningful talks going with Northern but the company are not interested and would prefer to continue to bury their heads in the sand regardless of the impact on the travelling public. 'German-owned Northern Rail want to run nearly half a million trains a year without a safety critical guard on board in a move that would wreck both safety and access ‎to services and they should listen to their front-line staff and pull back from that plan immediately. 'RMT has secured agreements on other English franchises that enshrine the guard guarantee. Similar agreements have also been reached in Wales and Scotland. Arriva Rail North need to do the right thing and come to an agreement that secures a guard on their trains too.' Northern had already warned that its services are being seriously disrupted by walkouts, and said it would run as many trains as possible.